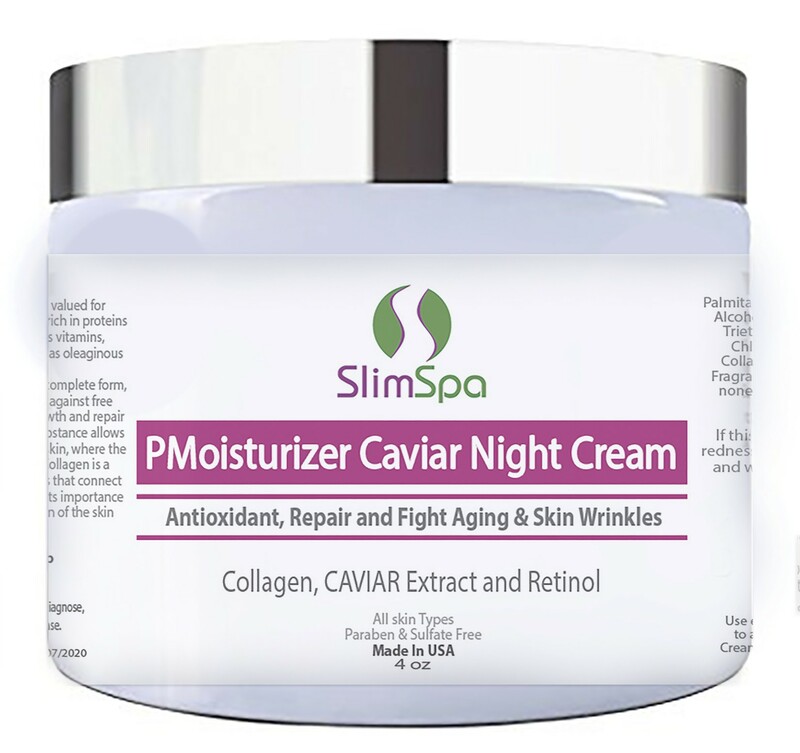 With Collagen, CAVIAR Extract and Retinol. <br>This formula helps boost collagen production (reducing wrinkles and preventing fine lines), speed cell turnover (evening out discoloration and brightening skin tone) and unclog pores (making them look smaller and reducing acne). Caviar has been known and valued for centuries as a refined food. It is rich in proteins and amino acids. It contains vitamins, especially A, B, D and E, as well as oleaginous elements. Retinol is vitamin A in its more complete form, which has a protective effect against free radicals and stimulates the growth and repair of cells. The structure of this substance allows penetrating deep layers of the skin, where the collagen and elastin work. Exclusive antioxidant formula with caviar extract for night time use only. Once applied at night, the liberation of active ingredients, promote the process of vital repair. After waking up, your skin will feel softer, younger and moisturized. This formula helps boost collagen production (reducing wrinkles and preventing fine lines), speed cell turnover (evening out discoloration and brightening skin tone) and unclog pores (making them look smaller and reducing acne). Collagen: Type 1 collagen made from fish skin helps to reduce environmental pollution, and provides a superior and beneficial source of collagen protein. It also helps prevent and improve any signs of skin aging, improves smoothness, better moisture retention, increases suppleness, and prevents deep wrinkle formation. Caviar Extract: Has omega-3 and omega-6 fatty acids, two nutrients that are part of a healthy diet and promote luminous, balanced skin. It is also thought to heal and prevent cellular inflammation and work alongside the skin's natural processes, stimulating collagen production and minimizing surface wrinkles. Caviar has been known and valued for centuries as a refined food. It is rich in proteins and amino acids. It contains vitamins, especially A, B, D and E, as well as oleaginous elements. Retinol: Vitamin A stimulates the production of new skin cells helping to fade dark spots, hyperpigmentation, hormonal changes, and blemish scars.